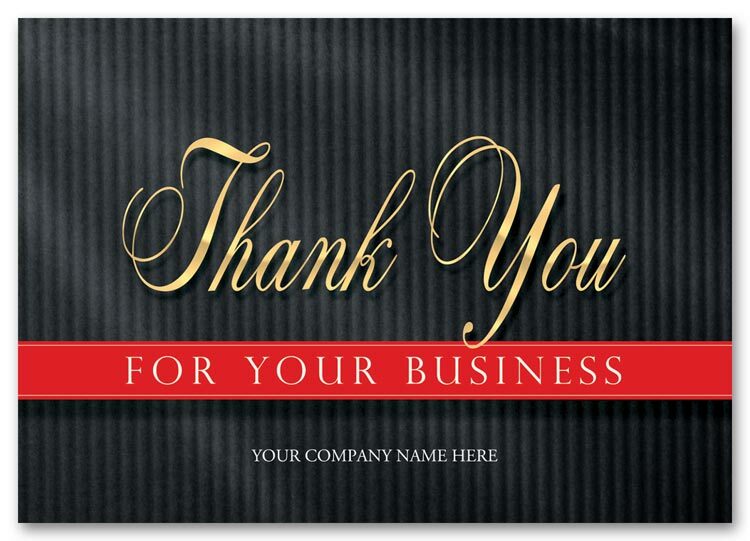 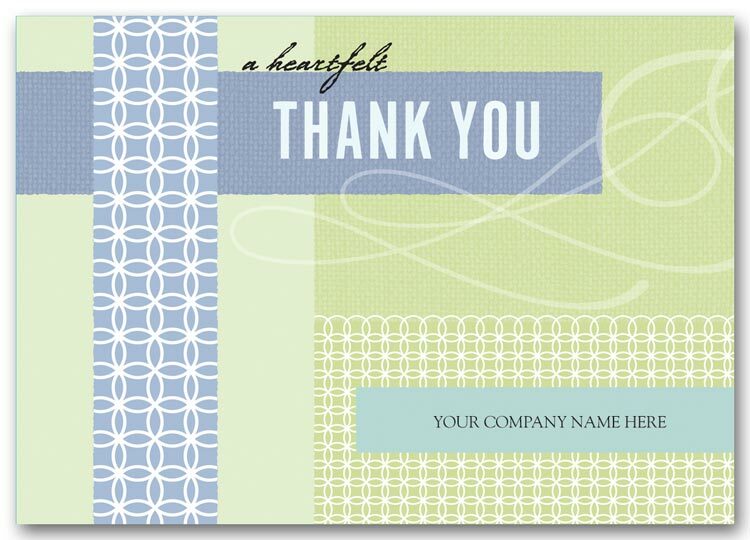 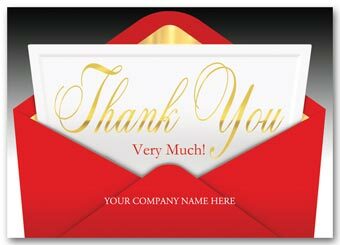 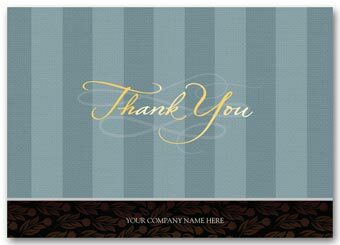 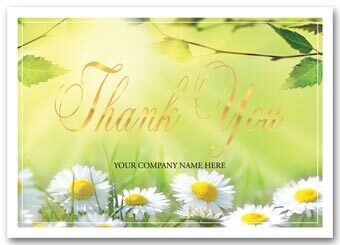 A formal expression of your heartfelt thanks, the Elegant Appreciation card shimmers with a gold-foil Thank You plus your personalized company name. 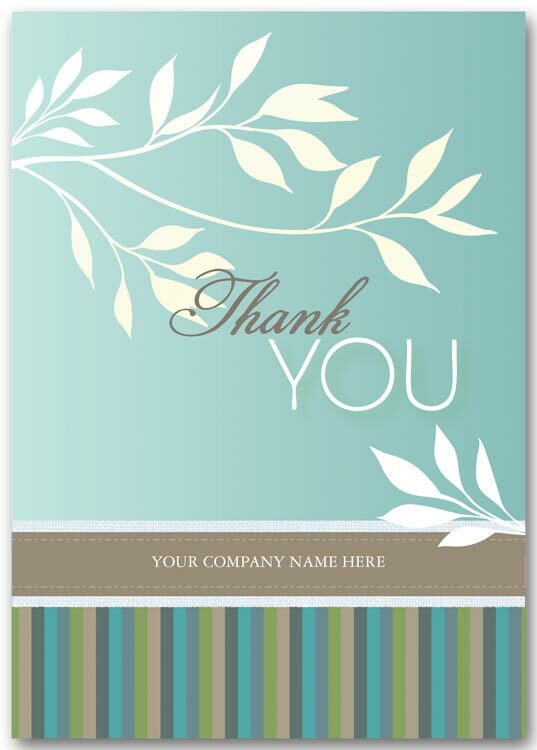 Express your gratitude with flowers and design that's a breath of fresh air. 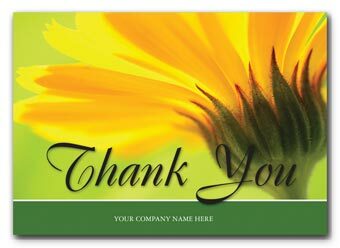 The petal-perfect Daisy Day card delivers a gold-foiled Thank You plus is personalized with your company name. The shine of gold-foil lettering for a distinctive look, plus a 3-D effect that catches a customer's eye: Thank them for their patronage with the Very Thankful card personalized with your company name. The Grande Gratitude card offers an understated striped background that lets the gold-foil lettering take the spotlight, plus easy-to-read reversed text gives your company name high visibility. 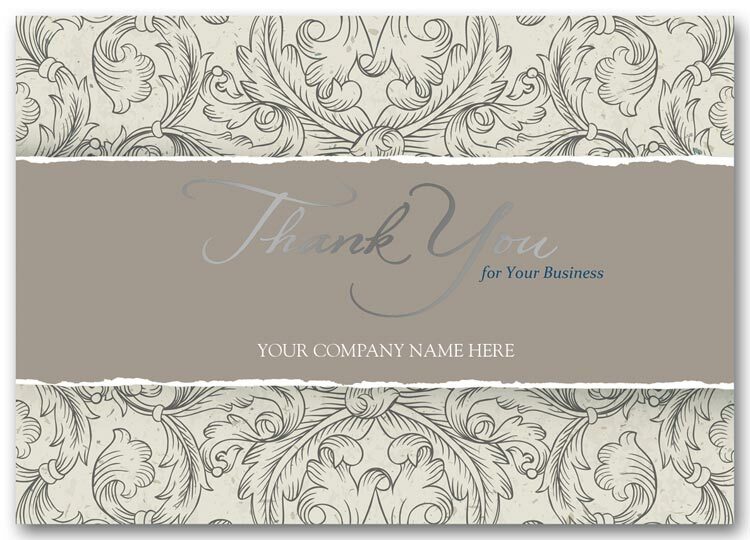 Bringing a traditional touch to your company's customer relations efforts, the Silver & Scrolls card features scripted text accented with silver foil, plus your company name and a vintage-inspired floral pattern for visual interest. 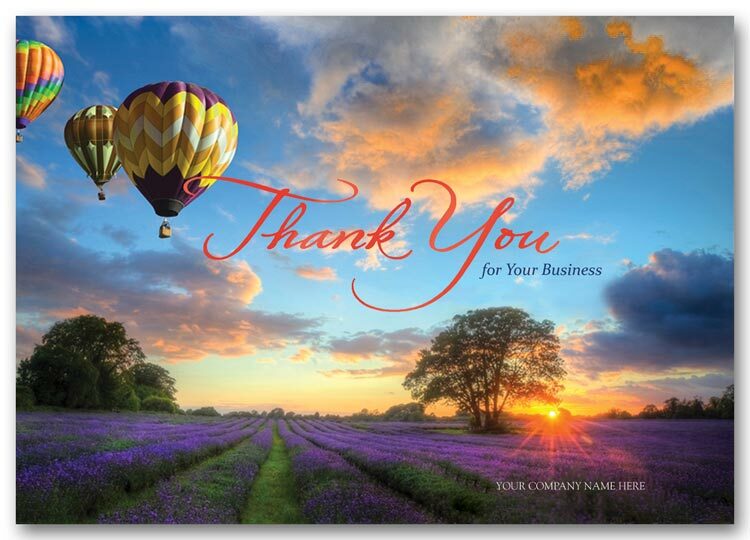 Turn those high-flying dreams of connecting with customers into reality, with this inspiring image and red-foil lettering; add your company name to the Sublime Sentiments card as the perfectly personal finishing touch. 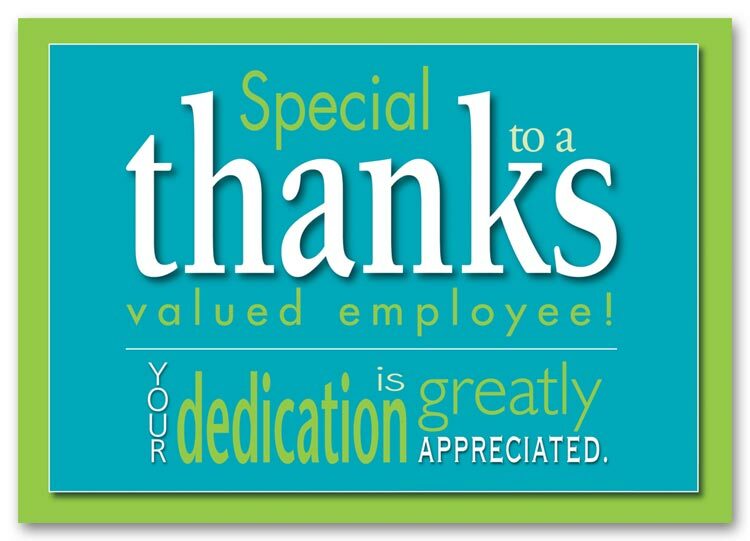 A powerful sentiment, simply expressed. 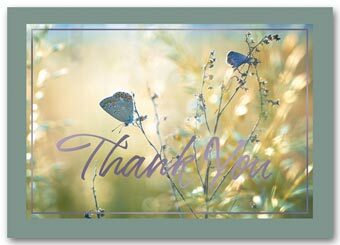 Enchant customers with the natural beauty of butterflies and wildflowers, with the A Soft Touch card's perfectly matched purple metallic foil emphasizing your gratitude. 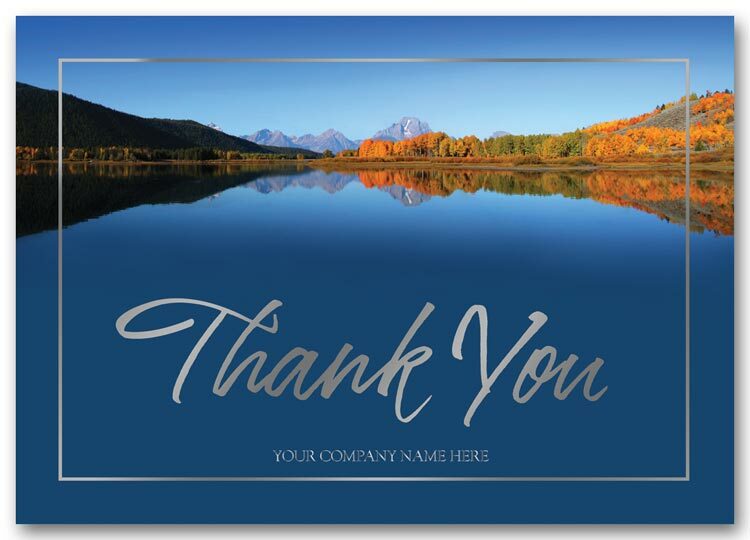 Stunning photography your customers will want to display, with a message they'll want to remember. 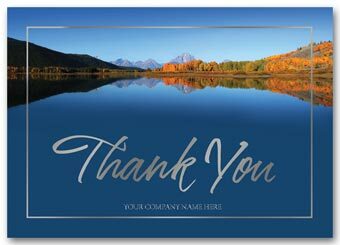 The best part: it's easy to add your company name to the Majestic Serenity card as a complement to the striking silver-foil lettering. 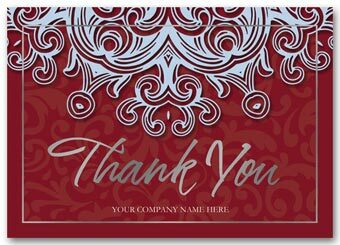 Inspired by regal colors and intricate designs, the Blue Velvet card makes your customer feel truly appreciated, with silver Thank You foil treatment and personalized area for your company name. 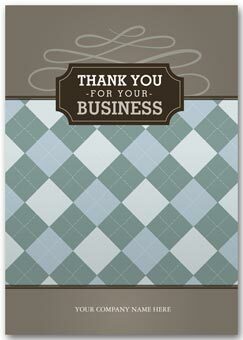 Friendly and authentic feeling, the bright design of the Retro Regards card combines refreshing, trend-right colors and the perfect spot for adding your company name. 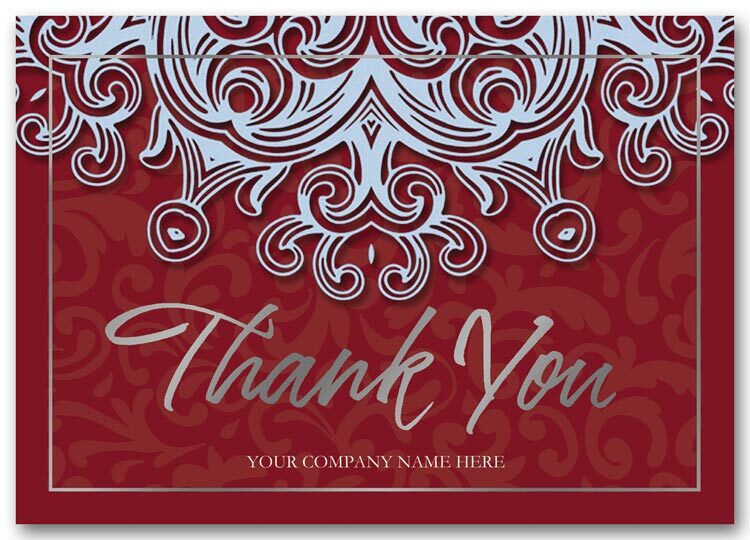 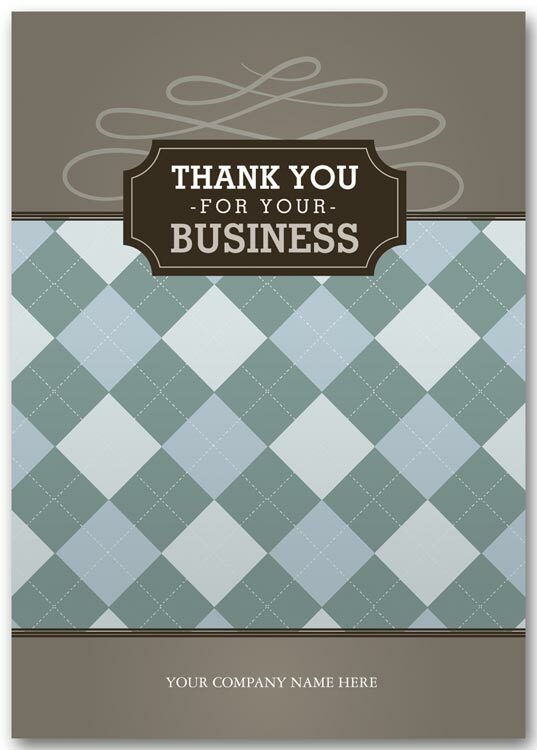 Handsome and distinctive, the Gatsby Thank-You card offers a gentlemanly expression of gratitude, plus a generous space for adding your company name. 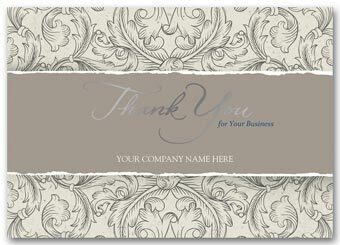 Combining trend colors and classic botanical elements, the White Flora card is gracious and graceful, putting your company name in its best light on the chic tan bar. With an extreme close-up of a sundrenched flower, the Golden Bloom card's message of gratitude feels personal and powerful; add your company name in the rich green area to maximize its impact as a marketing piece. 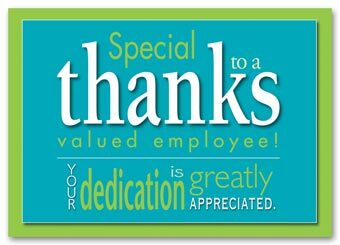 For a job well done, for going above and beyond, for inspiring fellow workers to exceed expectations: Give that special employee recognition and thanks with our bright, happy Big Thanks card.